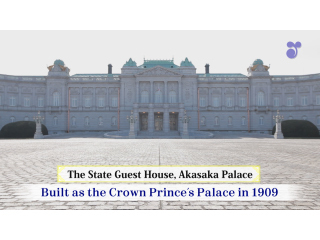 Originally constructed as the Palace of the Crown Prince in 1909, the Main Building of the State Guest House, Akasaka Palace in Tokyo is the only Neo-Baroque Western-style building in Japan. 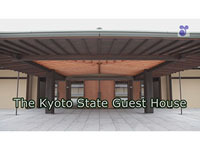 During the postwar period, as Japan reintegrated itself into the international community, it was restored and remodeled as the State Guest House. It was reopened in 1974 to welcome and accommodate state and official guests from abroad. This year marks the 40th anniversary of its reopening. 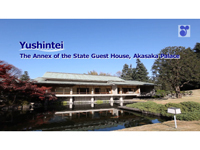 In this program, we take you on an exclusive tour of the Main Building of the State Guest House, Akasaka Palace.